Family businesses tend to be a point of pride. Usually children take over their parents’ — or in some cases, their grandparents’ — venture with the notion of carrying on the family’s legacy and tradition. Maybe you’re involved in one yourself and have that sense of familial pride that goes hand-in-hand with it. 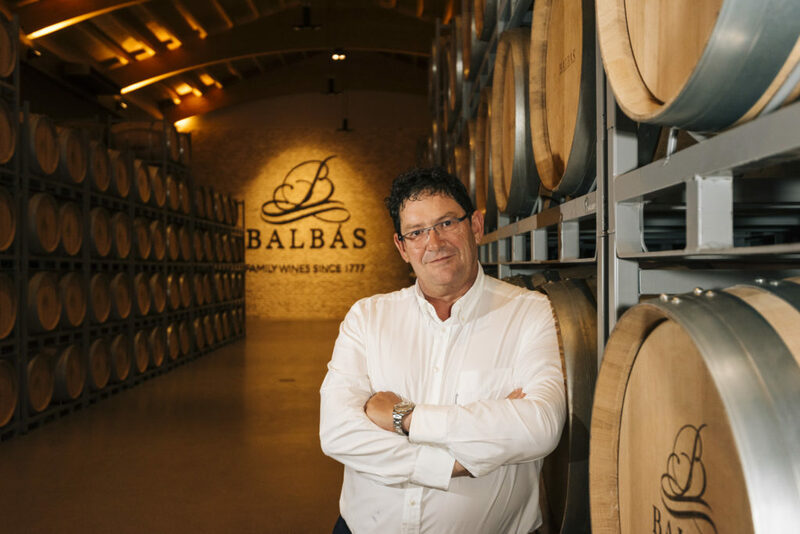 When it comes to Bodegas Balbas, there’s quite a bit of legacy and tradition to lug around, as it’s been in operation since 1777. Yes, you read that correctly: They’ve been making wine in Spain since the year after the Declaration of Independence was signed in the United States. 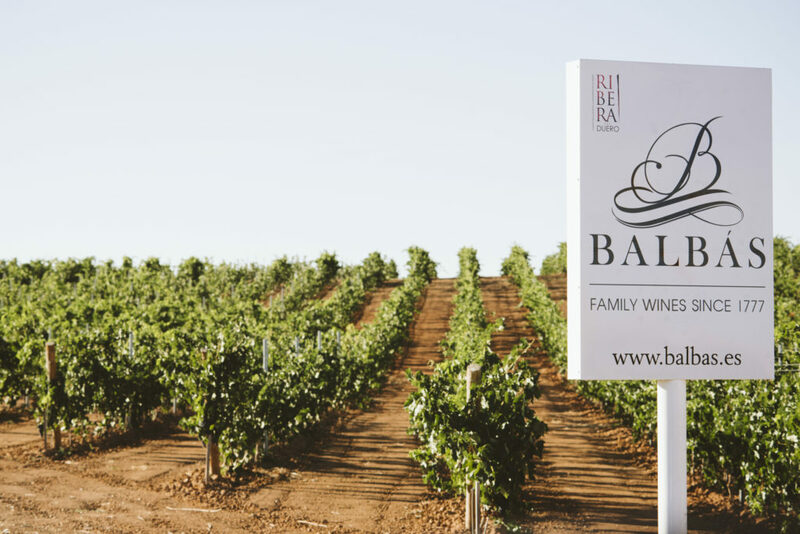 So, with nearly 250 years of winemaking and business as their calling card, including being a founding member of the Ribera del Duero denominacion, how does the Balbas family keep on keeping on, both professionally and personally? 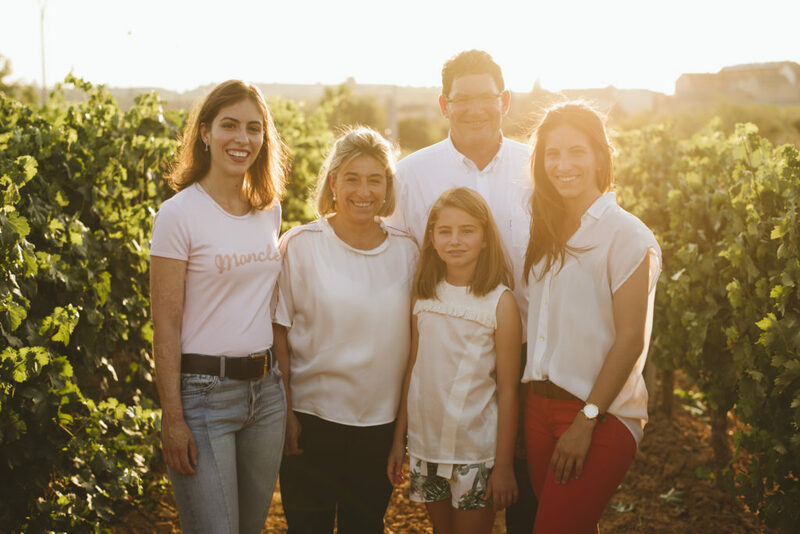 We spoke with owner Juan Jose Balbas, who along with his wife Clara de la Fuente and their daughters Patricia, Maria and Berta, are the latest generation to make the Balbas ancestors proud with their work. Your winery was founded in 1777. Does that legacy add extra motivation for you to produce the best product possible, and has it brought the family closer personally when you’re not working? With the passage of time you realize the meaning of everything and learn a great lesson, as it becomes clearer that the secret of making a great wine has not changed in recent centuries: “Love the vine, take care of it, make your wine with no rush and let the wine grow because it is alive, it’s there.” This is my philosophy, the one that I pass along to my family and the one that is getting my daughters to love this exciting world, so they also get, in the future, to contribute their bit to this legacy. As one of the founders of the Ribera del Duero denomination, what are some of the biggest changes you’ve seen in terms of the region and its perception since the 1980s? The world of viticulture has evolved a lot in the region since 1980. At that time, the excitement was the main motivator, the desire to innovate and do new things. As time passed, large companies have arrived and strong investments have brought professionalism and a modern approach. We have achieved that our wines be positioned in the menus of the best restaurants, that we are recognized as one of the most prominent, prestigious and attractive production areas. Maybe we have lost that nice initial innocence, but I think the final result has been very positive. You list 10 different vineyards on your website, with specific details on each. When making your wines, how do you approach blending the grapes from different vineyards? What is the process like? We play with these peculiarities when making our coupages, which in certain wines are made at the time of harvest, or in others in which once the wine is made, the coupage is made depending on the type of wine. For example, in our Reservas, we use a blend of 10% of the Cabernet Sauvignon variety with 90% of the Tempranillo variety. We try to obtain the Cabernet Sauvignon from the most suitable area with a marked character, that for us is the Pago La Malata vineyard, and we obtain the Tempranillo variety in the Carreportillo vineyard, that has sandy loam soil, which gives us a more persistent wine in character, long-lasting. With upland cultivation we get more structured and fleshy wines. La Malata vineyard is located at 940 meters of altitude. It was a risky bet, but as time passed we have verified that when the vine is subjected to extreme situations it responds with kindness. You also mention that through some “Daring innovation” there will be “New products brimming with personality will soon be released.” Can you give any detail on those processes and products or the risks you’d like to take in the future? One of the guidelines that are followed by Bodegas Balbas is to combine tradition and history with a modern approach. Technology gives us the necessary tools to develop ideas. Ideas show our personality. Fortunately, I think that the wine consumer is changing, it’s not someone with a fixed mindset, it’s rather a restless person, eager to grow and mature. At Bodegas Balbas, we are very clear about this concept, which has led us to prepare new wines, which will soon be released, with a more innovative cut. I consider that when a bottle is opened, the fruit must be forthright and the oak only a complement. Wine has personality and soul, the essence that gives it its terroir taste, we should not hide it. We have looked for powerful wines in which the fruit stands out, in which the oak is the accompaniment. We are going to present wines in which their raison d’etre is to be drunk and enjoyed. We have thought of a wine that when someone has a glass, thinks about having a second; in short, a wine for the people. Ribera del Duero evolves quickly and is good, but as a winemaker I firmly believe that our challenge, for the next few years, is to bring wine closer to young people who are our future, to make it known. As winemakers and oenologists, we must row together in that direction. Balbas Winery was founded in 1777, the same year that work started on the first underground wine cavern marking over 200 years of tradition and four generations dedicated to the noble art of winemaking in the Ribera del Duero. Balbas Winery along with a small group of others created and developed what today is known as the Denomination of Origin of The Ribera del Duero. Our wines illustrate the powerful and elegant characteristics of our terroir and demonstrate the skills of the great wineries of the region. Deep red color a reddish shade and purplish rim. Bright and clean. Intense aromas of fresh fruit, raspberries, strawberries, blackberries acquired after 5 months in oak barrels. Bodied, revealing an intense flavor or forest fruits. This is a fresh wine, pleasant and well-balanced. It has a long finish that leaves a pleasurable feeling in the mouth. Intense and deep color. Very bright cherry, brilliant, clean with very intense ruby glints. Toast aromas from the oak come through as well as green pepper. Smooth, flavorful and pleasant wine. A well-balanced wine with smooth tannins and long and pleasant finish. A slowly evolving wine, very deeply colored and with dense tears. It shows a shade of ruby at the rim and a finely-colored brick-red tones. On the nose, aromas of well-ripened, jammy fruit, velvety smooth and expressive. Complex aromas among which leather and mineral stand out. Full bodied and powerful, full bodies and balanced. Long and powerful finish. Powerful aromas of black pepper, vanilla, toasty and dark-roasted notes, and chocolate. A very complex wine on the nose and very rich in aromas. A rounded wine with a very long finish. Belen Sanz Cid is good at what she does. Really good. The wines she makes at Dehesa de los Canonigos in Ribera del Duero have won some serious awards.